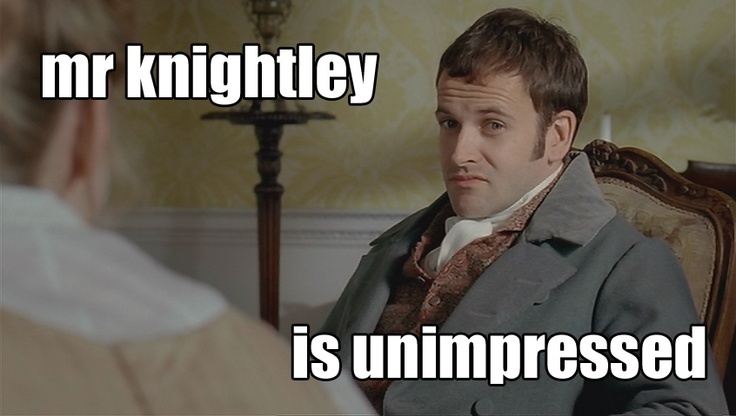 You are currently browsing the tag archive for the ‘jane austen’ tag. There was an Austen round at pub quiz last night. I was heart-broken because I missed number 8. Bu. Have you ever feared that, while publishing yet another edition of a popular classic, a tiny part of the text is deleted/changed and no one notices? And that that mistake is replicated in yet another e- or paper-edition, like a game of Chinese whispers? What’s the most reliable digital source of a classic? Is there a central organization that holds a version taken by academics from the author’s own papers that becomes the basis for all editions thereafter? Something similar to the International Bureau of Weights and Measures in France that holds the prototype meter bar and kilo? But you know what they say: just because you’re paranoid it doesn’t mean they’re not really after you. And I’ve found proof there are differences between editions of our beloved classics. Pride and Prejudice none the less! 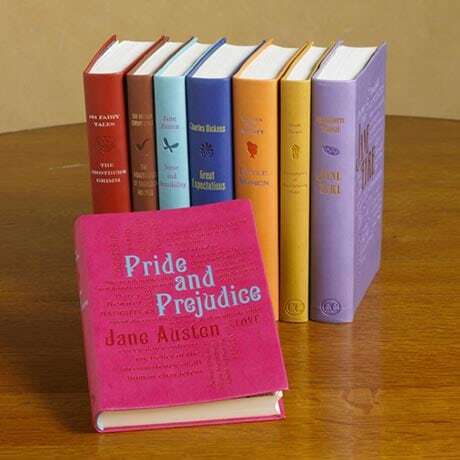 For my birthday this year I received four beautiful editions of P&P: one in Chinese and one in French for my collection and two in English: an illustrated edition by the Collector’s Library and a gorgeous pink “faux leather” Canterbury Classics edition. If you’re a Janeite you’ll see immediately a word that doesn’t belong. It should simply be “What are men to rocks and mountains?” I probably would never noticed if it hadn’t happen in such a famous sentence. This makes me ask a lot of questions: how many of these go unnoticed? Who decided to add that word and why? Did he/she feel that older men should be excluded from the comparison? “Let me make it better”? I have to admit it’s pretty fascinating the thought of someone out there tweaking the classics. Like something out of a Saramago novel. 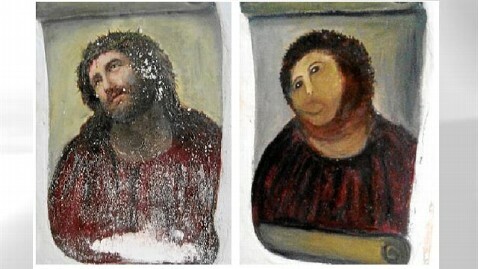 Reminds me of the Spanish lady who “restored” the 19th century church painting. Like many others, one day I’ll make a big detour just to admire her art work. I’ll soon post something more geekish, full of statistics and analysis (the type of post only you, dear bookish friends, will understand and appreciate), so this one is just about the Best of 2011. I think this is the begining of a beautiful friendship. These books pushed all the right buttons. If you put a gun to my head and force me to chose just one 2011 favorite, I think this would be it. A great biography, one of the best I’ve read. Thank you Claire for your review – it made me add it to the wishlist, and thank you Downton Abbey for mentioning it – it made it a priority. Such a funny book, and about quizzes, how could I not love it? Hard to describe this one. Mind-blowing and mind-boggling sounds about right. I’m only reading one book of this series a year because you only read DD for the first time once. I dread the day they will come to an end, even with re-reads to look forward to. IT was even better the second time around. I read it first in my 20s, now I’m in my 30s and see it in a completely different way. I wonder what I’ll make of it in a decade. Another great re-read. Close to YA perfection, in my not so humble opinion. My ultimate comfort reading. Thank you book blogosphere for this recommendation, it was true to all the raving. A beautiful little book, which surprised me by how modern it felt. The best audiobook of the year, in great part due to Matthew Macfadyen’s wonderful voice. A wonderful way to end the year and one of the reasons I’m naming 2011 The Year When I Truly Discovered Non-Fiction. Confession. I have read Pride and Prejudice about 200 times. I get lost in the language. 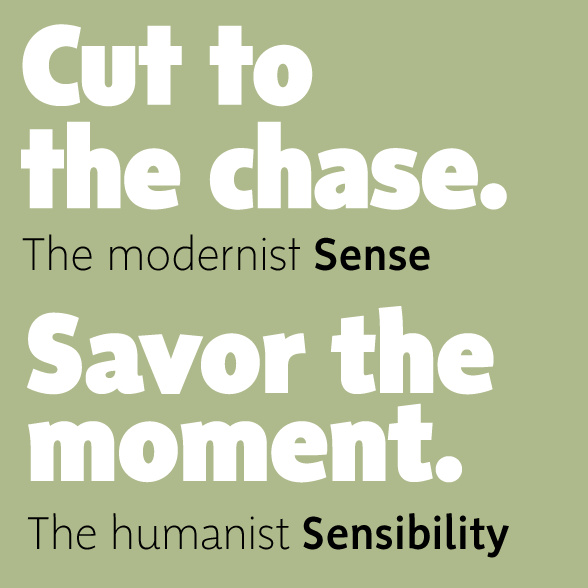 Words like ‘thither’, ‘mischance’, ‘felicity’. I’m always in agony whether Elizabeth and Mr. Darcy are really going to get together. Read it – I know you’ll love it. The word “felicity” also makes an appearance in S&S, as well as “indefatigable”, “affronting”, “incommode”. How wonderful are these words? I think enjoy them more than most because they’re very close to Latin and hence much closer to my mother-tongue Portuguese. We say “felicidade” for “happiness” and “incomodo” for “inconvenience”. 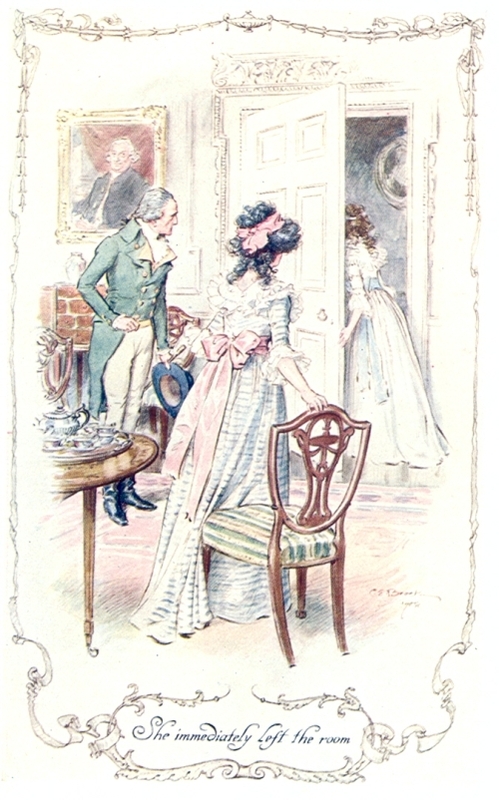 Did you also notice that in Austen’s other novels there are echoes of S&S? The piano offered to Jane Fairfax in Emma, Mrs. Bennett saying she always noticed something about Wickham not quite right. I’m sure there are more connections that I missed – perhaps in a future re-reading? Elinor’s particular knowledge of each party made it appear to her in every view, as one of the most extraordinary and unaccountable circumstances she had ever heard. Sometimes I wish Dickens, the Brontës and other Victorians would better acknowledge the convulsed coincidences they come up with. But what struck me most this time around was that the book is not so much about the individual sisters (or how I identify with one or the other), but about what we see when we see them together. The whole is bigger than the sum of the parts and all that. No matter what Elinor says, their stories were very similar, the difference was mostly in the way they behaved – and what a ride to witness it! This may seem obvious is a novel called Sense and Sensibility about two sisters, but I felt it much more now, this analysis of reaction by two people so close and yet so different from one another. 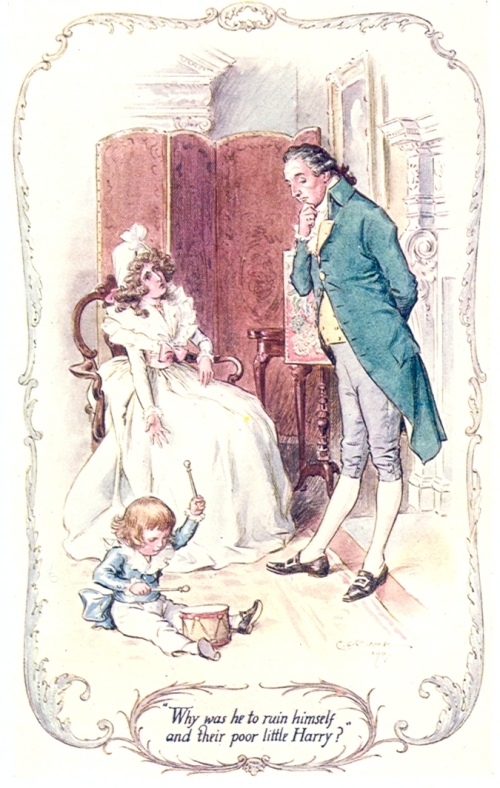 Jane Austen, just like Elizabeth in Pride and Prejudice, was a student of character. Thanks for all who participated in the readalong – it was so much fun! Last year Sue from Whispering Gums and I exchanged some comments on each other blogs about our Austen-dedicated bookcases. Shortly after, Sue sent me (all the way from Australia!) 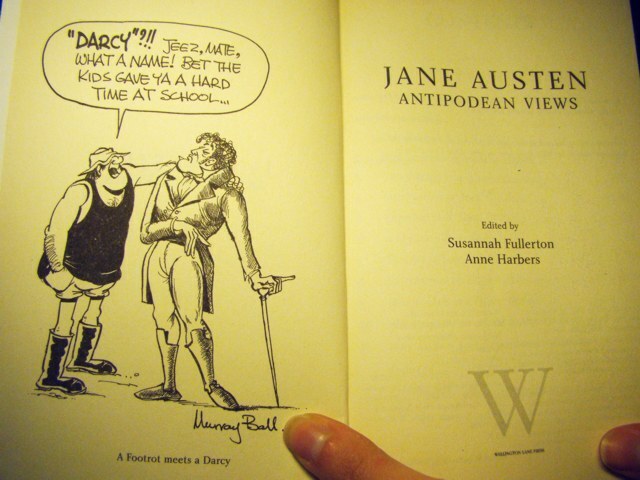 “Jane Austen: Antipodean Views”, edited by Susannah Fullerton, President of the Jane Austen Society of Australia, and Anne Harbers. (…) for a personal response to Jane Austen. We wanted to know if the letters’ recipients could remember a first reading of a Jane Austen novel, if they re-read their books, if they were forced to read their books at school when they would rather be playing sports. We asked if their first reaction to Jane Austen hand changed over time, if the film versions of her books had been enjoyed or disliked and if Jane Austen aroused feelings of pleasure, warmth, indifference or loathing. The result is a very fun and poignant book. Its biggest assert is the variety that the editors looked for, including several cartoons especially made for the occasion. Some responses were four pages old, others a single sentence, some written by Professors of Literature, others by cartoonists, Archbishops, librarians, psychologists, race-horse breeders, Prime Ministers. Some are serious, some are funny, some are emotional. I laughed out loud and even got a bit teary. All together they make a wonderful celebration of Austen and the way she connects so many people around the world. I couldn’t I really fell the “Antipodean” part, though. Apart from a reference here and there to a specific place, these letters could have been written in England, Canada or America. Can someone out there please compile a similar thing for non-English-speaking countries, where Austen is not compulsory reading in school? I don’t find the fact that an Australian high-school student reads and loves Austen that special, but why would a Mongolian, Yemenite or Croat? How cool would such a book be? I’ve deliberately refrained from reading Persuasion so that I would never get to the point where I had no more Jane Austens to read. When the doctor, with grave countenance, gives me the news that I have only three months, the grief will be mitigated by delight that at last I am allowed to read Persuasion. In the meantime, I’m avoiding crossing roads when busses are in sight. Anyone able to have her chaste, fully clothed, never so much as “felt up” heroine discussed seriously by a first Fifteen changing room of a boys high-school cannot be considered to be anything less than a genius. Jane Austen’s most profound message for me is that no matter who, where or what we are, we are empowered by the sensible expression of our thoughts. I find in old age, I have forgotten the novels, in particular the magic of being lifted into other lives and background. Re-reading is one of the Best Things of old age. Forgetfulness – it is live having a present. I’m sure that any one paragraph can be taken at random and the thoughts behind it would present much food for thought and discussion. Read for Advent with Austen. Fear not, despite the book’s name, there is only a very tenuous link to the Darcys :). There’s actually no scene involving any of Austen’s characters and that might be the reason why I enjoyed The Second Mrs. Darcy, my first novel by Aston. 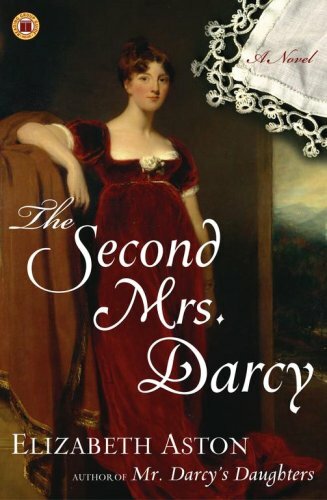 The Second Mrs Darcy is about Octavia, who, while living in India, meets and marries Captain Darcy (a widow, hence the “Second”), a cousin of the original Fitzwilliam Darcy. When we meet her she’s 25, recently widowed and trying to figure out how she’ll live on the little money her husband left her. Again, fear not! Soon after, she inherits a fortune from a conveniently long-forgotten aunt and decides to go back to England to take possession and deal with her Horrible Family. You would of course expect a focus on the romantic story, but it only starts about 50 pages in, and even then there’s not a lot of it. This was surprisingly not a problem, because the best thing about the book was the glimpse into Regency life and seeing Octavia hold her own among people who underestimate her. I liked that she liked fashion and building things with her hands, horses and architecture, traveling and decorating. As I read I’m gathering examples that disprove Austen’s general image as a sentimental or “pink” author – this is a conversation I’ve had countless times, usually after people know if my partiality for her. Anyone who doubts how savagely witty she can be, has only to read these S&S chapters. There are enough psychological undercurrents to rival a Japanese thriller, and unforgiving satire to put her in the British Black Humor Hall of Fame (if it doesn’t exist, it should!). These chapters open with another brilliant and passive-agressive conversation between Elinor and Lucy. It feels like you’re reading two dialogues at the same time: what’s said and what’s meant. Lucy is nasty. Interesting how Austen always seems to underline her lack of education, how she’s “ignorant and illiterate”, how Elinor pitied her for “the neglect of abilities which education might have rendered so respectable”. Lucy Steel is what happens when women aren’t encouraged to learn. 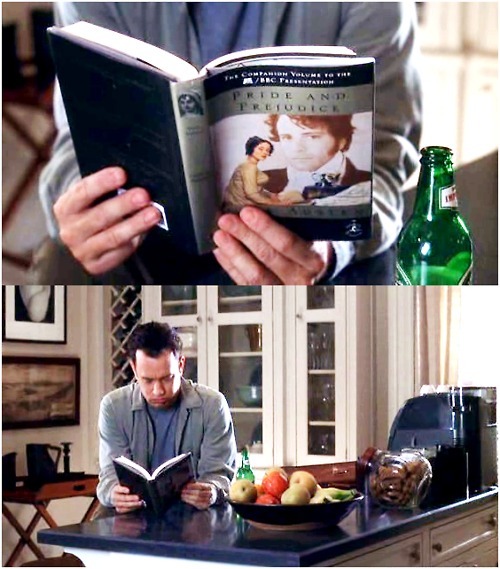 Austen clearly took much pride it her own education and literary knowledge (she is Elinor is this book, right?) and saw it as an advantage. In P&P Mr. Darcy will also make this point with his famous “improvement of her mind by extensive reading” line. Many of these sixteen chapters centered on Marianne and her seemingly endless plight, but my attention was all on the secondary characters. Did you also fall in love with Mrs. Jennings? I know she a bit of a gossip, and would be an impossible house-mate, but she means well and I find her good humor and joie de vivre irresistible. She melted my heart with her reaction to the news about Vile Willoughby and her misguided-yet-sincere offers of help (finest old Constantia wine the perfect solution to gout and a broken heart, who knew?). On the other hand, their brother John – for shame! At the beginning of the novel I thought he was just a weak and easily manipulated man, but after his conversation with Elinor about Captain Brandon, I see there’s a littleness about him that’s hard to pity. Will you join us for the last Twitter Movie Night this Sunday? We’re watching Sense and Sensibility (1995), starting 7PM GMT. Advent with Austen‘s readalong of Sense and Sensibility is being hosted by Yvann over at Reading Fuelled by Tea. Summary of the novel here. While the first nine chapters were all about how close these sisters were despite their differences, now we start seeing them drift apart. On one hand Marianne was either too focused on Willoughby or too isolated in her own pain. On the other there’s Elinor’s unwillingness to share her own hopes and concerns. Lucy Steel’s secret only came as one more wedge between them. I think I’ve spoken too soon about Marianne not being as annoying as I expected. In these chapters she really goes out of her way to be contrary and self-and-Willoughby-centered. But perhaps the abuse of such people as yourself and Marianne will make amends for the regard of Lady Middleton and her mother. If their praise is censure, your censure may be praise, for they are not more undiscerning, than you are prejudiced and unjust. What is it that makes Marianne act like this? She’s not a bad person, she loves her family. Is it her youth? Does Willoughby just bring out the worst in her? Or maybe it’s a consequence of her determination to only do as her heart commands (with the full support of her mother)? Shame on Mrs. Dashwood for telling Elinor off when she questioned Willoughby’s actions – “You had rather take evil upon credit than good” – I hope she’ll come to realize just how unfair she was. It felt even worse than Mr. Bennett’s reaction when Elizabeth tried to persuade him not to let Lydia go away. 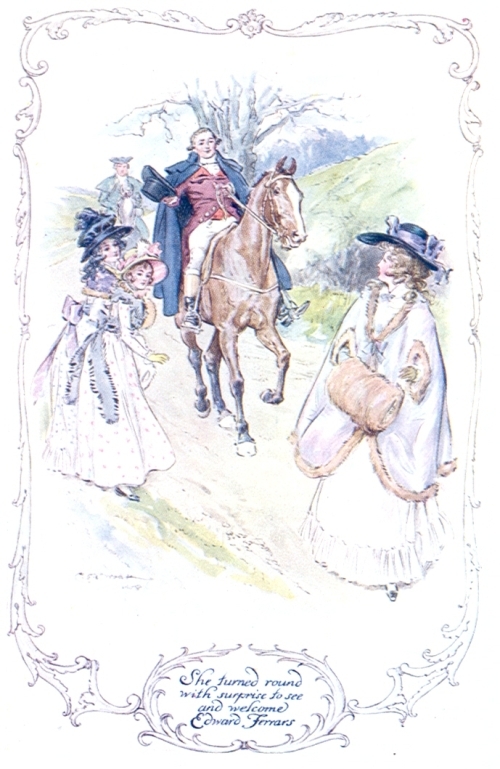 If Mrs Dashwood really knew Elinor, she’d rely more on her instincts about character. “My judgment,” he returned, “is all on your side of the question; but I am afraid my practice is much more on your sister’s. I never wish to offend, but I am so foolishly shy, that I often seem negligent, when I am only kept back by my natural awkwardness. I have frequently thought that I must have been intended by nature to be fond of low company, I am so little at my ease among strangers of gentility! The embarrassment when Elinor found out about the hair Edward was carrying – I could feel it. Lucy Steel, you little hypocrite: can you say passive-aggressive? Her interactions with Elinor made my blood boil. You can tell she had a fake smile pasted on her face, while her conniving eyes are measuring Elinor’s every reaction. These were chapters filled with conversation, while the previous ones centered more on events. I’m glad of it – Austen is at her best with dialogues. Will you join us for Twitter Movie Night this Sunday? We’re watching Persuasion (1995), starting 7PM GMT. The Advent with Austen‘s readalong of Sense and Sensibility is being hosted by Yvann over at Reading Fuelled by Tea. So. Confessions of a Jane Austen Addict. What can I say? Not exactly my cup of tea? Gritting my teeth to powder? Courtney, a modern LA woman, falls asleep reading Pride & Prejudice and wakes up in Regency England, in the body of Jane Mansfield. However, Courtney conveniently has access to Jane’s memories and other skills, like an English accent and embroidery. I was ready to accept the unexplained time-travelling (even if it had strange rules), and enjoy a good Austen-inspired romp, but Courtney force me to give up on the book. 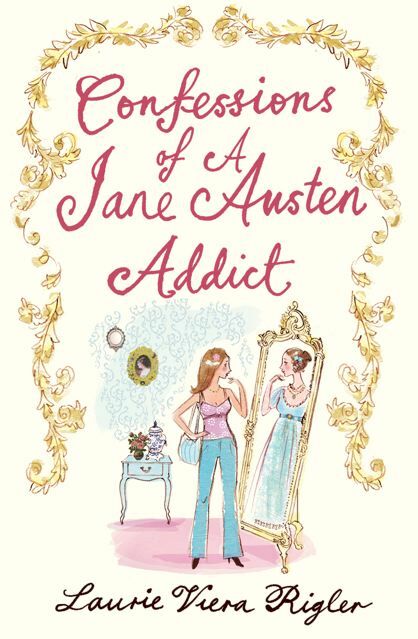 The way I see it, there are only two options: either Courtney is not really a Jane Austen fan, which would put the whole premise of the book in question, or she’s incredibly thick-witted, shallow and self-absorbed. Even if it’s the second, it’s still impossible that Austen is her “choice of drug” or that she read P&P and S&S “more than 20 times”. It you’re a Janeite, you’d know restricted women were at that time and not go about giving passionate feminist speeches during dinner parties. You would’t ask someone if a certain house was a “retirement center” or think it “odd” to be escorted to dinner. You wouldn’t meet a man-servant unchaperoned in the city park, despite the damages to your reputation. That is not the type of strong-willed woman who Austen wanted Elizabeth Bennett to be, don’t you understand? At some point Courtney meets Jane Austen (don’t ask) and what does she talk about? How Jane will be so famous and how her books will be made into movies (! ), and the great kissing scenes at the end. Courtney gives other Jane Austen fans a bad reputation. And the constant whining… Oh dear. About chaperons, corsets, the lack of vodka and make-up (oh how she missed make-up! ), the rules of courtship, the horror of marrying for money, women as baby-makers, bad hygiene and chamber pots, doctors using leeches, the smells! A real Austen fan would know and understand about her life and times, even considering the shock of waking up in a different century. Courtney has no idea about Regency England (big no-no with this title), but more than that, she’s condescending about it. I get that Jane Austen is BIG and understand the temptation to either honor or capitalize on her, but I really do get upset when authors assume that this is what a modern Austen fan is like. 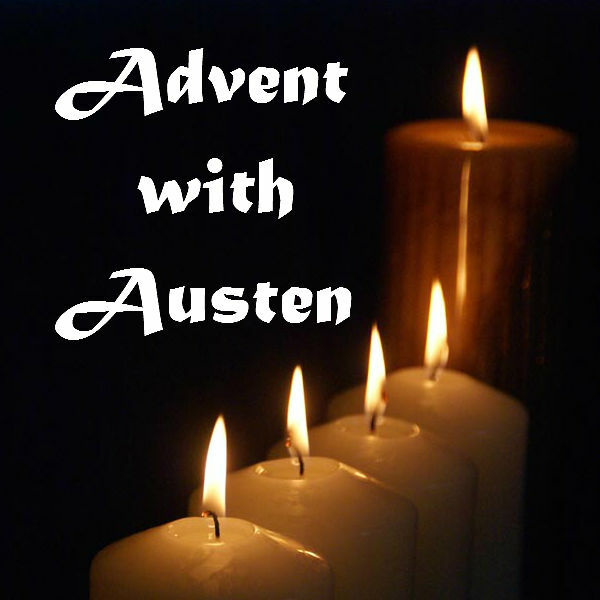 Read (at least as far as I could go) for Advent with Austen. Let the great readalong begin! I’m looking forward to what everyone else has to say about Jane Austen’s first published novel. This is the second time I read S&S and it’s surprising how different if fells and how influenced I’ve been by the adaptations. Just 9 chapters in and I’m already convinced that of all of Austen’s books, S&S is the one that benefits most from screen adaptations. She leaves a lot to our imagination and I missed scenes like the one where Margaret hides in the library, but I especially wanted to see more of Elinor and Edward’s relationship development. There’s a whole chapter with just one conversation of Mr. and Mrs. John Dashwood, but so far no exchanges between one of the book’s main couples. Still, that chapter was great, so witty, so clever, so Austen! You could see she had fun writing it, but it was also very useful to help us understand the injustice suffered by the Dashwood women, Fanny’s meanness and John’s meekness. These first chapters also set the scene for the sisters’ relationship: unity and deep affection, but also a conflict of conduct and values. I couldn’t help thinking how alone Elinor must have felt at times. Clearly Marianne and her mother are of one mind, and young Margaret is going the same way. It must be tough on Elinor to constantly be the family’s voice of reason, Super-Ego and bad-cop. I thought that this time around (now that I’m older and wiser, you see?) I’d find Marianne more annoying, but again, I take my hat off to Austen for creating a character like her. She has everything to be an exasperating teen, but instead I find myself thinking that what we need is more people who think and live like her: intensely and in a world of superlatives. I don’t want Marianne to be taught a bitter-but-necessary lesson. I want her to find the man she wants at 16, who reads Cowper with due passion and has an immaculate character. And maybe Austen thought the same. Maybe she was sorrowful about the dirty job that lay ahead, or Marianne wouldn’t have been such a great character. Now, please imagine that I said something thoughtful about parenting in Austen’s books, or social mobility, while I continue to muse about how my own idea of the ideal man evolved. See you all at the joint viewing of Bride and Prejudice this Sunday?